Microsoft’s subscription based office application package is more and more popular, not only because you can get Word and Excel for a smaller monthly cost, but also because they come with valuable other services like the 1TB online storage called Onedrive for Business, and exchange mailing with business packages. Before companies had to buy the exchange server license from Microsoft after they bought the bear metal server if they wanted to set up their own mailing server. 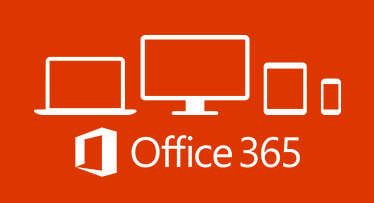 With Office 365, a 50GB e-mail account is included in your subscription with the latest Office application package that contains the latest Outlook. If you are new to Office 365, PARANET.UK can help you to select, buy and get started with the appropriate Office 365 subscription. We can guide you along with the configuration process and the deployment to your work environment. We can also set up your domain and exchange mailing within the cloud. If you have an existing mailing service and you would like to keep your mails, contacts, appointments our Microsoft Office Technicians can upload your existing data to your new e-mail database. In case your business already have a Microsoft Exchange server and you would like to move it into the cloud our technicians can help. No matter if you have 50 account or just 5, the appropriate configuration is necessary. We know that time is money. You wouldn’t like to loose customers, miss any e-mails during opening hours while uploading the mailboxes and configuring the new account. We can provide a seamless switch between the two platform, upload your mailboxes without you notice any outage from the service. For further information and to book an appointment with our expert, please don’t hesitate to contact us.